The above-referenced list are ways a house can become occupied by demonic spirits. Jeremiah 23:29 “My word like as a fire? saith the LORD; and like a hammer that breaketh the rock in pieces?”The Word of God is like fire, which tests and consumes and no one can stand against it. This Word is as powerful as the hammer that breaks the most stubborn demonic rock in the atmostphere. You need to pray and have breakthroughs and when that happens, it melts the rock for us to have an open heaven from God. James 5:16 NKJV The effective, fervent prayer of a righteous man avails much. God’s word is like a fire because it gives light. Therefore, the land is therein contaminated by the presence of evil, or by the existence of evil in those that inhabit the earth or place. Because these activities occur as a result of the choices and actions of those involved, the powers of darkness have legal rights (or permission) to claim the land or place for evil purposes and the necessary to spiritual house cleansing. We need to believe the Word of God, Do what the Word of God says and not allow these objects to come into our houses. Step 1: Remove these objects by destroying them. Then renounce any participation you or your family had with these objects willingly or unknowingly. Command the demonic forces linked with that object to leaving in the name of Jesus Christ of Nazareth. Then take the objects out and burn it. If it will not burn, break it or flush it down the toilet. Step 2: Repent to the Lord and confess all your sins to the Lord and ask for forgiveness and the cleansing Blood of the Lamb. Step 3: Remove demonic structure and decommissioning of personal demonic forces. Step 4: Loose Godly seed and angelic forces and fire to burn all demonic forces out of the house. Also, pray for any hidden thing to come in the light of God and that all shadows and veils become exposed and removed for spiritual wisdom and discernment. Step 5: Ask the Lord to muzzle the gatekeepers and guardians ruling over the property. Cut the property free from the overlords and the territorial demons and their authority. Step 7: Declare Jesus as your King and Savior over your home and dedicate your home and property to the Lord. Then anoint your home with oil especially the doors, windows, and mirrors. Declare your home as a haven for dark forces but be a beacon of light and a place of rest and safety. 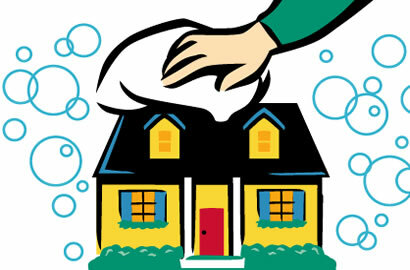 Step 8: Cleanse spiritual atmosphere in each room and declare God is King and Savior over each room. Step 9: Break all curses associated with the objects such as reverse the curses of fighting to peace, financial troubles to blessings, violence to peace, nightmares to sweet sleep, accidents to blessings, and anything the Lord shows you. Step 10: Then consecrate the land to the Lord. Take stakes, anoint them, and then from the center of the property raising an imaginary canopy of praise to God by worshipping Him, singing songs, and declaring Him King and Savior over your estate. Declare to the Lord over the powers of darkness that your land set apart for the Lord. Take the stakes and put scriptures on them and then drive the stake into the ground at each corner of your area. Optional: Step 11: Have communion on your land and declare your land Belongs to the Lord. Use scriptures such as Ps. 91, Isaiah 54:2-3, Jeremiah 29:7, Luke 1:37, Joshua 24:15. Turn on the spiritual songs in your home to fill your home with the Word and with Praise.